Alchemilla, also known as Alchemilla Mollis or Lady’s Mantle, is a plant with a rich medical history and was used in different cultures. For example, the Germans related the plant to Freya – the Nordic goddess of fertility. The leaves are so soft that they are compared with Freya’s mantle. In the Middle Ages, the plant was known as a medicine for various (female) pains. The name Alchemilla is a reference to the use of the plant by alchemists. The dew, which remains on the leaves, was previously taken by alchemists and used as a life elixir. Mollis means soft in Latin; this name also refers to the soft leaves of the plant. 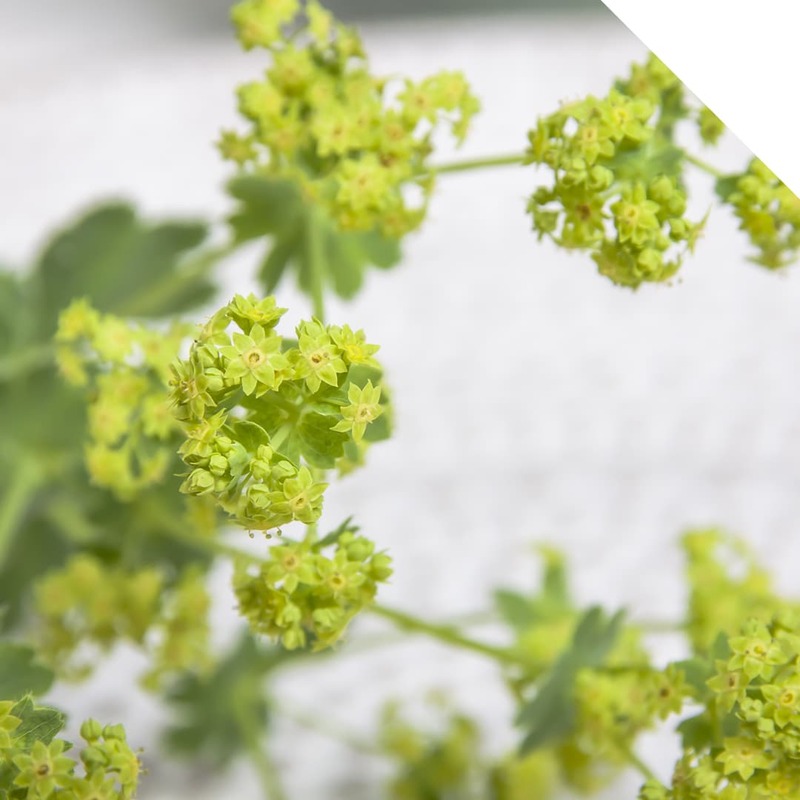 Alchemilla is also known as a garden plant, a beautiful plant with yellow flowers and big leaves. The flower is mainly used as a filler in a bouquet. The flower gives a loose and nonchalant effect to a bouquet and fits well in different styles. Because of the neutral color, the flower is a good basis for each (seasonal) bouquet. 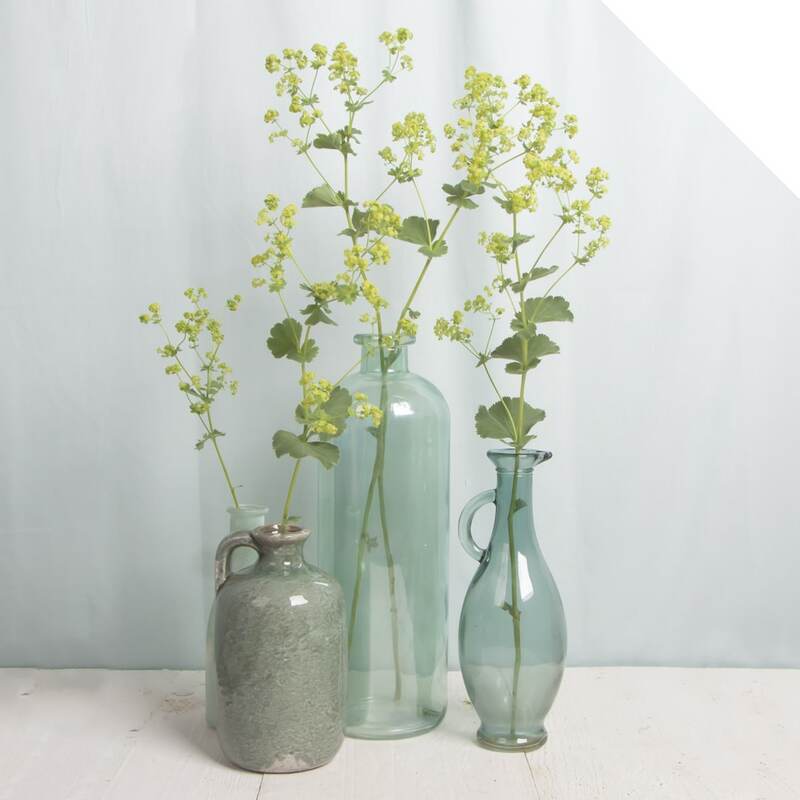 As a cut flower, Alchemilla is available in the spring and summer months. Later in the season, the plant has the characteristic yellow flowers. The season of this flower is quite similar to the Peony season, with a peak in May and June. For that reason, the flowers are often combined in a romantic bouquet. A match made in heaven! You can also combine these great flowers with other seasonal beauties, like Dahlia, Clematis, and Hydrangea. Or try a mix with Delphinium, Bouvardia, and Limonium! Check the flowers when you receive them, the flowers should be yellow and not brown. Cut the flowers and put them in clean water, also add cut flower food to the water. Keep the flowers cooled.